Northland Family Help Center has applied for a grant that includes a crowd-funding component. 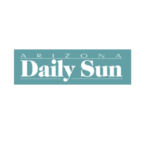 The organization is currently working to raise $6,000 by April 12, with funding to go toward funding Human Trafficking Services in the Youth Shelter.Northland Family Help Center has been serving the Flagstaff, AZ community for 40 years! Over that time, we continue to evolve and fill gaps in social services to ensure our communities’ individuals, families, and youth are healthy and thriving. 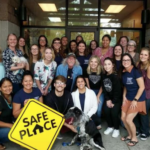 Northland Family Help Center is seeking to fill the position of Trauma Therapist, a 40 per week, full-time benefit eligible position.The position provides psychotherapy, counseling and clinical services to victims of crime; and also responds to crises in person or by telephone to community members and shelter residents. An anti-bullying program by Northland Family Help Center held for seventh graders at Mount Elden Middle School is raising the hackles of some community members after it included descriptions of different gender identities. Northland Family Help Center has an opening for a Trauma Therapist. This will be a full time position, benefits eligible. Position Summary: Provides psychotherapy, counseling and clinical services to victims of crime; and also responds to crises in person or by telephone to community members and shelter residents with a particular focus on youth in crisis due to living in shelter due to runaway/homelessness, child abuse and/or neglect, legal system involvement, and lack of family stability and safety. This position supports youth in crisis during after school hours, some days until 8pm, so evening availability daily M-F is a requirement of this position. This is a Trauma Informed Care agency. 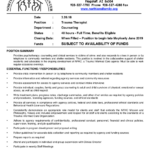 Northland Family Help Center is looking for someone to fill the position of Trauma Therapist. This position is full time with benefits eligible. Through creative expression, adults and children recover a sense of renewal and power. Their images of hope, survival and strength educate the public and encourage steps to change their lives.